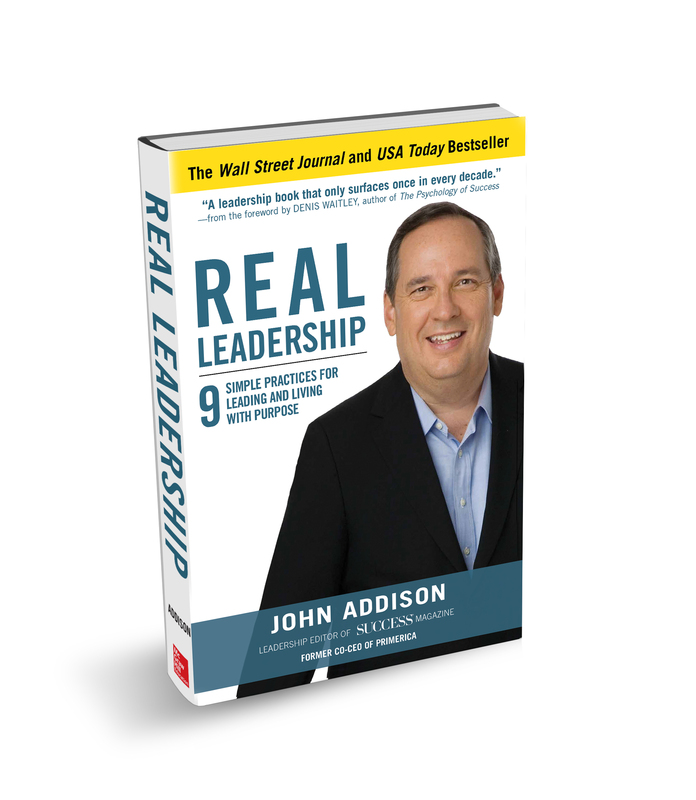 SUCCESS Leadership Editor John Addison explains why you should make 100 percent of your team feel important 100 percent of the time in this excerpt from his book, Real Leadership: 9 Simple Practices for Leading and Living with Purpose (McGraw-Hill; March 8), now available in paperback. Every living thing needs light. Plants, animals and people need sunshine to stay healthy and continue to grow. That’s a crucial workplace principle, too—one known since the early 1900s. That was when Hawthorne Works in Chicago commissioned a study to see how to improve factory efficiency. Workers were told they were participating in a study on productivity. The only change to the environment was brightening the lights a tiny bit. Yet productivity soared. Even when the lights were dimmed again, productivity continued to climb. 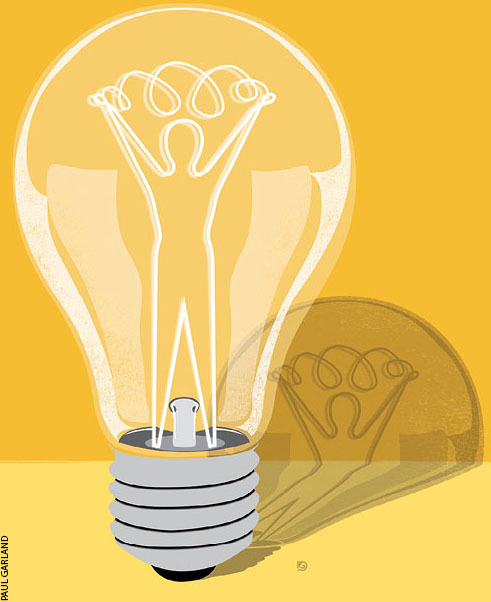 Lead researcher Fritz Roethlisberger concluded that lighting was irrelevant to the higher productivity; that it actually resulted because the workers’ daily routine mattered to someone. If you aspire to be a leader, let me plant this thought: The people around you are not there to make you a big deal; you’re there to make them a big deal. Shine a light on others, and in the reflection you’ll see a leader. So what does it mean to “shine a light” on those around you? It begins with finding the leader in you. I often read about men and women who have charted their lives with amazing detail. “I want to be published by 30, climb Mount Kilimanjaro by 40, eat dinner at the White House by 50….” These stories inspire me. These people, who planned their lives practically before they could walk, inspire me. My approach to life has pretty much been to jump in the river and start swimming. When the river branches off, I do my best to take the fork that looks like the right one. I never had a grand plan for my life or master strategy for winding up in the leadership positions I’ve been in. I’ve always believed you need to get up every morning, make the day an adventure and do your best to be better than you were yesterday. If you spend too much time fussing and worrying about where you’ll be 20 years from now, you might miss out on what you need to do 20 minutes from now. That isn’t to say big goals aren’t great. I support having huge dreams, but there’s so much you can’t predict or control. What you can control is who you are and how you respond to challenges. We all walk different paths and have different backgrounds, but your destiny is your decision. It’s not a decision you make in a sudden burst of clarity. It’s a decision you make again and again, dozens of times a day. Although we describe ourselves as human beings, I like to think of us as human becomings. Being the kind of person others look up to and are glad to be around and follow isn’t something that just happens. It’s a choice. It’s as simple as choosing to smile at the office on Monday morning or remembering a birthday. And it’s more than worth the effort. Leadership starts with leading yourself, which means accepting yourself with all of your imperfections and not beating yourself up over your mistakes. It also means deciding to rise above limitations and not letting negative thoughts control who you are. If you can do that with yourself, you can do that with others. Accept people’s imperfections and be the first to see their good qualities. Be the kind of person others turn to for advice because they trust that you’re not going to judge them or tell bad stories about them afterward. 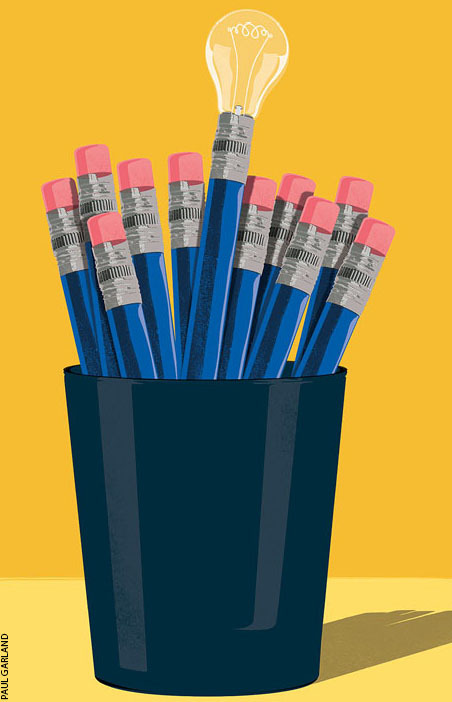 The greatest opportunities for leadership typically arise when and where it’s needed most. You can move light-years ahead during periods of trouble or chaos. Nobody appointed Gandhi to free India, but his countrymen respected and followed his example. People didn’t trust George Washington because he was president; he became president because people trusted him. Find the leader in you and become the person people can trust. Only then can you move the spotlight to those around you. My philosophy is that every business is a people business, and people are pretty much the same everywhere. They want to be made to feel special. They want to be recognized. Before they’ll be interested in focusing on the details of their jobs, they want to be part of something exciting, fun, compelling and great. Every organization is ultimately driven by a sense of mission and the importance of what its people are accomplishing. If it isn’t, then people are just punching a clock, which won’t take anyone very far. Simply doing it—whatever the it is—to earn a paycheck will not cut it for long. You, as a leader, can only control your actions, not what others do. You can control what kind of message you send and where you choose to focus the company’s attention. Everything else would be a waste of energy. What you focus on grows. If you create an environment of fun and excitement plus a sense of shared mission, then that shared mission will grow. You can’t wait for success to create an environment of excitement. That’s backward. You have to create excitement first because you need excitement in order to generate success. When I was a youngster, I would sometimes go to work with my dad at the textile plant in Atlanta. Everyone there called him Mr. Addison and obviously respected him. It made a big impression on me. Even though I didn’t understand anything about how the company operated, I could tell the workers saw my father as the guy who kept it all going. That made me proud of him. One year he was promoted to a position that gave him responsibility over an entire area of the plant. He moved into a glassed-in supervisor’s office where he could see every worker on the manufacturing floor, and they could see him. Later he earned an even bigger promotion, to executive vice president, one of the company’s top five people, and was supposed to move to the executive building. It was separate from the plant and had secretaries, nice offices and various amenities exclusive to the executives. But my father wouldn’t do it. He insisted on keeping his old office out on the floor so he could remain in the middle of things with the folks doing the work. At the time, I couldn’t have told you what I took away from his insistence on staying at the plant. But many years later I grasped the lesson: The way my father saw it, those people weren’t working for him. He was working for them. Leadership, at its heart, is more about influence than position. Leadership is about learning to be a force for the positive. 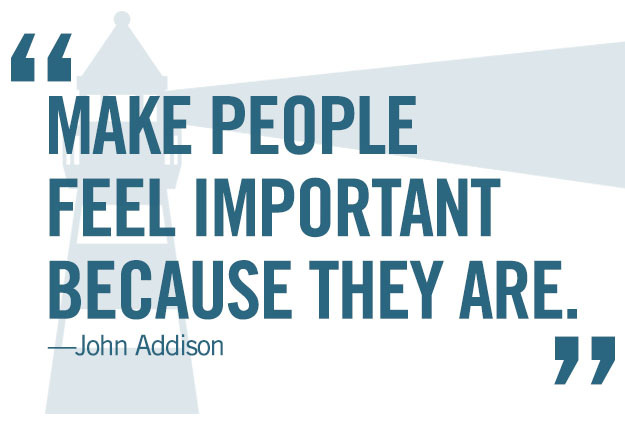 Make those around you feel important, because they are… every day. You can’t grow plants by giving them light once or twice a month, and the same goes for people. It’s important to give people your attention consistently, not just once in a while. Thirty-three years ago I started working at A.L. Williams & Associates, the financial services company that I would eventually serve as co-CEO—following a renaming and a host of other changes. In early 1983, I attended a regional meeting of about 2,000 people in downtown Atlanta. I’d been with the company about six months, and this was my first big event. It was also the first time I heard Art Williams, the founder, speak to a crowd. I knew he was a powerful speaker. But he was more than that: He was a great communicator. And there’s a difference. There are plenty of people out there who can perform a speech with skill. But a great communicator can stand in front of people and sense what’s in their hearts and heads and know how to minister to their needs. A good speaker talks at you. A great communicator speaks to you. But Art’s leadership didn’t end when he stepped off the stage. As I watched him at work, I began to understand how much of what he did was driven by the singular goal of supporting the people in the field and giving them what they needed to do their jobs. When he would draw up a new comparison chart or come up with a catchy new slogan, it was always exactly what was needed. He had his thumb on the pulse of what was going on in people’s lives. He cared about what they were going through. Art wasn’t building a financial services business; he was building people. Real leaders understand they are there to serve the team and not the other way around. They understand instinctively how important it is to keep shining the light on others. If you want to accomplish something great, something that lasts, you’ve got to be a lighthouse. You’ve got to be embedded in the rock. When things are good, leaders will talk about how we did this; we accomplished that; we will do this in the future. When times are hard and things get ugly, you’ve got to be that person others look to and see only strength. They know where you stand. That is a leadership style that fosters not just results, but enduring results. A kind of leadership people will follow over the long haul, through good times and bad. A leadership that lasts. The kind of leadership that draws people to follow you even when they disagree with you, because they trust you and can count on you. If you want to lead people in that deeper way, in a way that lasts, then you’ve got to inspire them to commit to a cause, to better themselves, to live their truest lives. And when things get rough, as they inevitably do, you have the courage to stand firm—and then keep standing firm. You don’t have to be brilliant, exceptionally talented or unusually lucky to be a leader who makes a powerful and positive difference. You can achieve more than people who are smarter, more talented or luckier than you are just by showing up, taking the right actions, working hard and being honorable. Each of us has a different path to walk. But no matter what your path looks like or where it takes you, I know this about your life: It means something. Yes, luck happens. Events shape your life. But here’s another truth: You can also shape events. That can take a lot of courage. Remember this: The courage to be yourself, do the right thing and devote yourself to making a positive difference in others’ lives are all it takes to change the world­—and that’s real leadership.